Home | Events | Our Australian Clinic of the Year for 2015 is La Bella Medispa! Our Australian Clinic of the Year for 2015 is La Bella Medispa! While we run our Clinic Awards biannually, dermaviduals will annually crown an Australian Clinic of the Year. We are proud to have given this award to a passionate team of skin treatment therapists who display constant dedication to the field of Corneotherapy and to dermaviduals. A massive congratulations to La Bella Medispa, Parkes for taking out this coveted accolade! La Bella Medispa is located in the regional New South Wales town of Parkes, Australia and is owned by Rebecca Miller. They are committed to keeping their clients’ skin healthy by providing treatments in a calm, serene environment using the latest technological advances available in the beauty industry. Their aim is to provide the latest state-of-the-art treatments and their highly trained specialists will provide professional and discrete care. Rebecca, who has 20 years of experience in the beauty industry, will be heading over to Germany in May to further extend her knowledge on the topic of Corneotherapy and treating problem skin at the International Corneotherapy Symposium that attracts skin experts from around the world. She is a qualified senior paramedical skin therapist and has extensive anatomy and physiology education and knowledge. Rebecca specialises in treating skin disorders & conditions from the core of the problem rather than a quick cover up. Skin correction & education is the driving force to her passion & enthusiasm for her business. 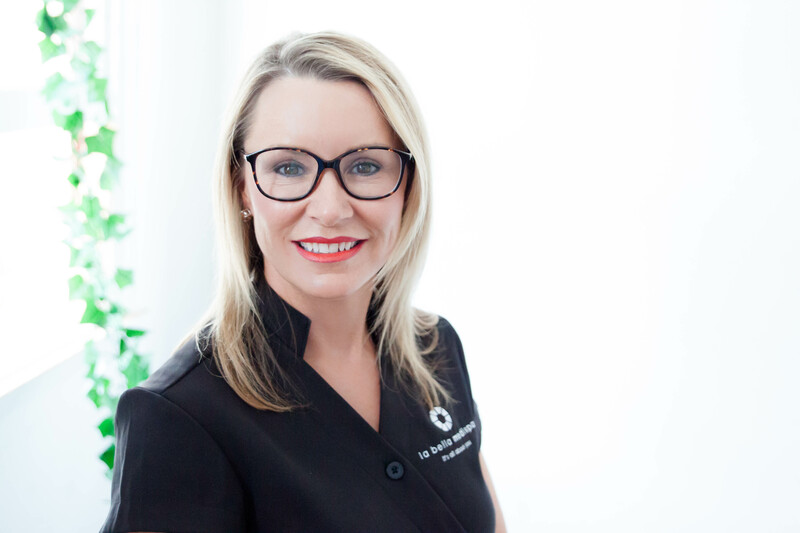 Rebecca has owned three beauty salons and has travelled the world extensively both working as a therapist and undertaking training in the latest techniques, treatments & first hand training with some of the world’s most advanced skin educators. 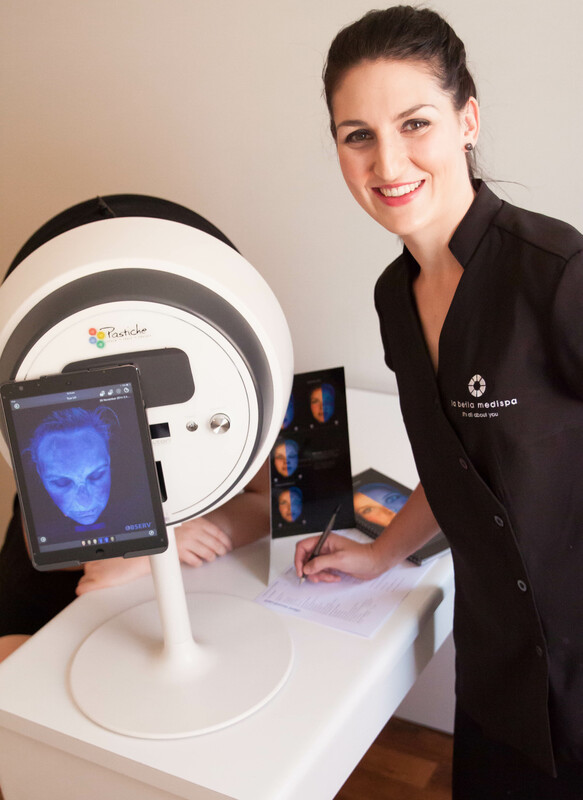 In 2013, Rebecca & business partner Carla Poole opened the highly successful La Bella Advanced skin & Laser in Orange NSW. La Bella Advanced Skin has established itself very quickly, providing the same professional & advanced services as the Parkes store. What can you expect when you book an appointment with our Australian Clinic of the Year? Put simply: true skin correction. This team can’t get enough skin education or knowledge. 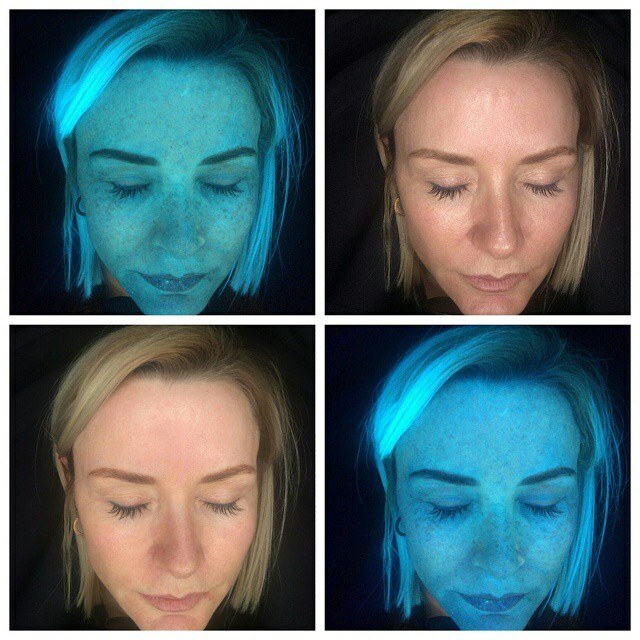 Your skin correction journey will start with an Advanced Skin Analysis with the Observ Skin Diagnostic Machine which will take a series of 7 images (like the ones below) to show things such as UV damage, pigmentation, disrupted enzyme activity, oil flow, the vascular network, overall tone, texture and pore size. This diagnostic machine can amazingly also show you where your skin is heading in the next few years if your skincare regime (or lack thereof!) and environmental factors stay the same. Your bespoke skin correction plan will then be formulated to include in-clinic treatments such as customised facials and LED Light Therapy, plus an at-home skincare regime. This treatment plan will be constantly reviewed and changed to make sure your skin is the healthiest it can be. If looking after your skin was on your list of 2016 resolutions, visit La Bella Medispa and make your resolution a reality!